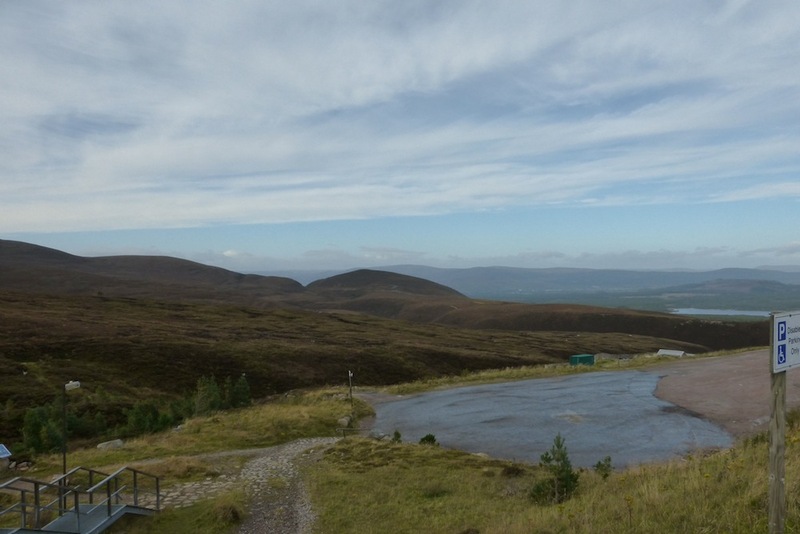 The Cairngorm Hotel, Aviemore. c. 1900 (with later extension). It was probably first put up as offices for the local forestry works, but, since it is just opposite Aviemore's splendid railway station, it was soon repurposed and enlarged to offer accommodation. John Gifford describes the hotel as it stands now, a Category C listed building, as "bargeboarded with a conical-roofed tower at one end" (80). Its listing text describes it more picturesquely as a "2-storey and attic, 4-bay Highland estate style villa with tall 3-storey, 4-bay extension with 3-stage angle tower." The ironwork balconies and gabled dormers with their bargeboards provide some decorative flourishes. 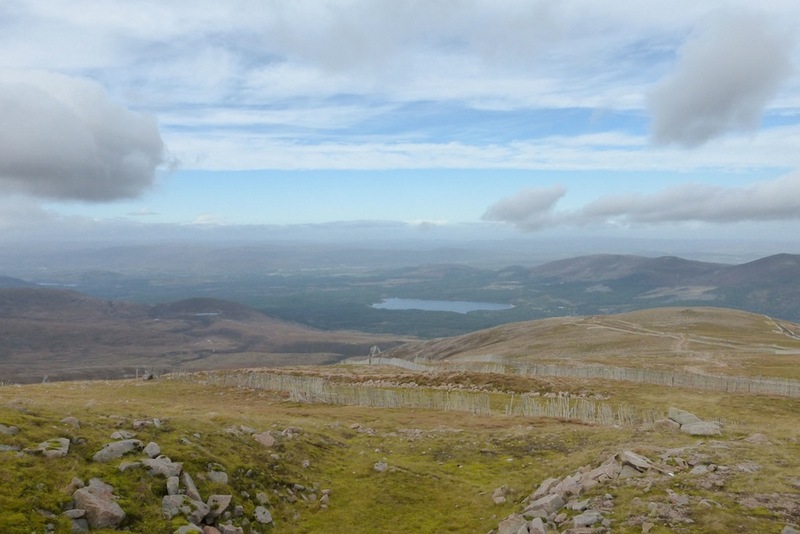 Views from high in the Cairgorms. 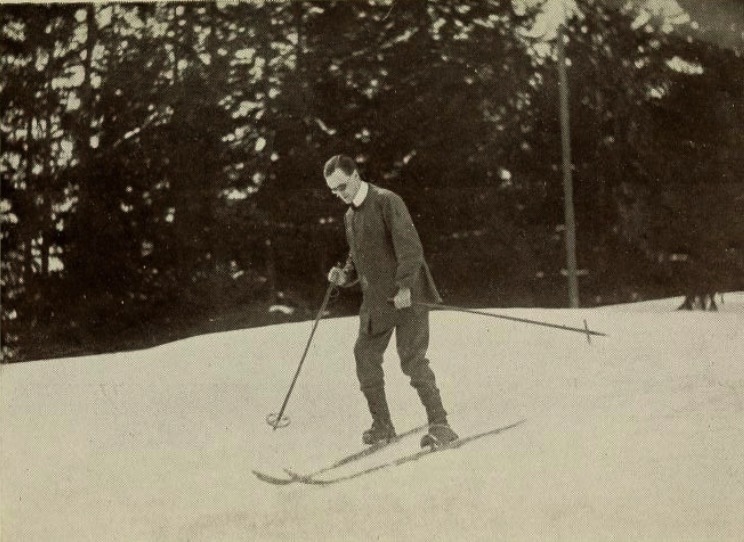 Later, skiing became popular here, although at first the skis were hefty wooden ones with stout leather straps or "bindings." "Starting a downhill 'closti'." Source: Lunn, facing p. 76. Anderson, George, and Peter Anderson. Guide to the Highlands and islands of Scotland including Orkney and Zetland, descriptive of their scenery, statistics, antiquities, and natural history. Containing also directions for visiting the Lowlands of Scotland, with descriptive notices, and maps.... Edinburgh: A. and C. Black, 1850. Internet Archive. Contributed by University of California Libraries. Web. 8 January 2018. 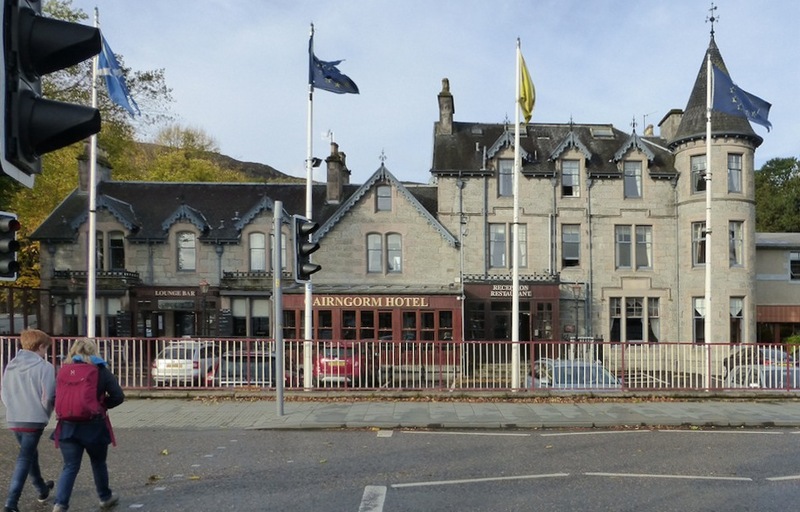 "Aviemore, Grampian Road, Cairngorm Hotel, Duthil and Rothiemurchus British Listed Buildings. Web. 9 January 2018. Lunn, Arnold. Cross-Country Ski-ing. London: Methuen, 1920. Internet Archive. Contributed by the Library of Congress. Web. 9 January 2018. Queen Victoria's Journals. Web. 9 January 2018.